Marion County was recently vetted as a potential site for a sunscreen (suntan lotion) manufacturing plant. 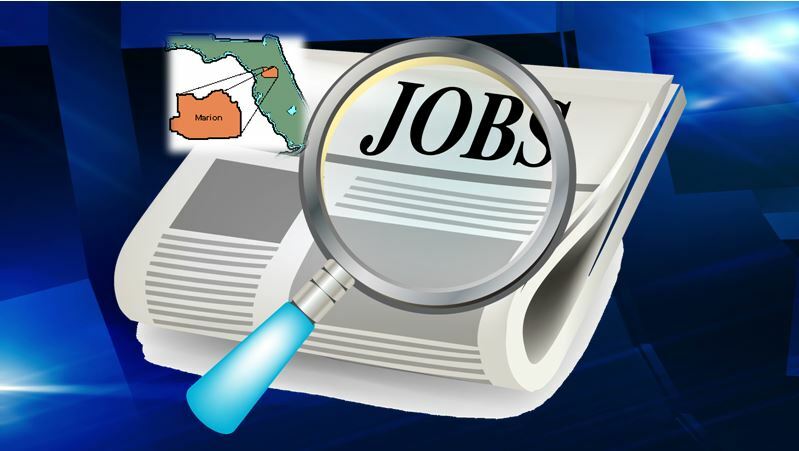 The company would have brought more than 200 high paying jobs to the area. The initial plan was to renovate and revitalize some of the already vacant buildings in the area. To vet the area, three staff members, one investigator and I stayed at a local hotel for three months. During our stay in Marion County, we checked local crime rates, looked at arrests per capita, followed the recent election, had lunch with local business owners, read numerous online news articles (both current and archived) from several news outlets, looked at local doctor’s offices, had interactions with a few law enforcement officers, quietly attended county, city and town hall meetings, and looked at the local eateries and residential real estate for the purpose of relocating to the area. While searching media outlets, we came across several articles related to local government and law enforcement corruption as well as articles describing the crime rate in Marion County. Three separate articles from 2014 stated that Ocala was number 17 in the state of Florida for most violent cities, and Marion County was listed as number 30 out of 67 counties for most dangerous. We also found an article from 2015 that stated crime in Marion County had dropped by 5.3%. After discussing these crime rates with the Florida Department of Law Enforcement, we found the crime reduction to only be half true due to the fact that the 5.3% only pertained to the portion of Marion County patrolled by the Sheriff’s Department; it did not include the crimes that have taken place within the inner city. Moreover, we found that the percentage did not include a large vast of the crimes that occurred in Marion County in 2014, such as drug offences, prostitution, DUI arrests, etc. Furthermore, we were told by the Florida Department of Law Enforcement that the crime rate statistics are only as good as the information reported to them by the local law enforcement agency. Also, we discovered that Marion County has the highest arrest rate per capita out of any county in Florida. This in itself negates the claim of lower crime rates. Logically, a county cannot have the highest incarceration rate in Florida, but have lower crime rates, especially when those arrested are released back onto the streets. Any intelligent person could read through the information in the articles and see the agenda of local officials who are running for office. From an investment aspect, it is dangerous to mislead those who currently live and seek to live in Marion County just so elected officials can obtain re-election. We also learned that a business near the square was forced out by elected officials and refused a new lease by the real estate company because the city did not agree with the color of the building. After reading the news archive, it appeared that the city has a political relationship with the real estate company who owns the building. The real estate company told the owner of the building that his lease could not be renewed because the building was to be sold. We found that the building was not sold and was simply leased to another business owner. It was merely the fact the previous owner refused to change the color that essentially got him forced out by corrupt government. A lot of money, time, and resources were used while vetting Marion County. And what we discovered was a town overridden by crime and corrupt politicians, including law enforcement leaders, some of whom have been investigated on more than one occasion. Elected officials in Marion County should understand that many corporations secretly vet the cities and counties they are considering for investment, and we are not the only corporation that has vetted Marion County. When an investor who actually cares about the town that is being considered sees electronic wanted poster machines, lock your door campaigns, and businesses with steel shutters on every door and window on every street corner, it gives the image that the area is overridden with crime. After speaking with local business owners, we were told that Ocala, at some point in time, was the 5th best place to live in the nation. How does a city go from the 5th best place to live in the entire nation, to number 17 on the most dangerous cites in the state? We will not disclose the name of the corporation that vetted Marion County, because it’s a moot point. After all, as previously stated, we are not the only corporation that has vetted Marion County and found it wanting. The reason businesses do this is simple. It is because, in the past, businesses have rarely received an honest answer when they chose to go right to the building commissioners or other county government for answers. Needless to say, Marion County would be our last choice. The best part about our visit to Marion County was the beautiful horse farms and pleasant and upfront business owners we met with. They know who they are, and we thank them for their honesty. The taxpayers in the town will be the people who suffer when a business passes and moves on. Let this be a lesson learned.